This telephone table is short yet very useful for various things. Made from good quality wood, it is sturdy and will last for ages. This table has a square top panel and is well supported by four legs. There is an open storage section at the bottom and a closed drawer above. 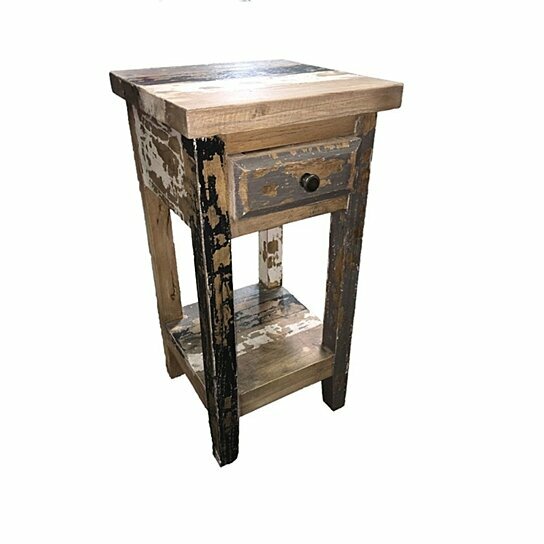 As it has a distressed finish, it will appeal to people who are fond of antique things. You can make it a part of your living room, bedroom, patio or any other place of your choice.